Over the last few weeks, I have met a number of prospective clients who are considering hiring me specifically to tweet for them. If the marketplace is a sign of the times, this is an interesting evolution in social media and communications. The public, and specifically business owners and entrepreneurs from all walks of life -- are seeing Twitter as the essential social networking tool. Not that they aren't on Facebook and Linked In. But they perceive Twitter as the magic social media button, and to their credit, they realize that it isn't as deceptively simple as it seems. Ironically, it can take weeks, months, and even years, to figure out how to make 140 characters really work for you. Of course in business, every second counts, and business owners expect a reasonable ROI in a reasonable amount of time, and if they are willing to outsource it, most likely they are looking for "Accelerated Twitter Marketing" 101. "Good on them" for realizing that they probably do need to outsource this function if they want a focused and target Twitter campaign. Why? Because ironically, for a platform that seems relatively simple on first glance, Twitter is actually rather complex when you figure in a variety of factors, such as Twitter apps for viewing and organizing, such as Tweedeck, Seesmic Desktop, HootSuite, and many others; Twitpic and TwidVid which link with media uploads for instant viewing (think Capt. Scully and the Hudson River); advance tweeting (Social Oomph); links to other applications such as Facebook and Friendfeed; applications like Twello for searching and others for following...the list goes on. Last spring, I completed a 2-week Twitter project that involved not a single tweet, but rather researching folks to follow through criteria I came up with, as well as best practices. I learned a lot, and it was a great social media exercise about learning criteria in who to follow. In any case, all that is all from a technical standpoint. From a marketing standpoint, there is also the question of content, style, and brand. If you tweet constantly about food but your business is clothing, you are probably going to confuse your audience, and confusion is something you cannot afford in online marketing, or anywhere else in business for that matter. Improved online visibility for John Adams, increasing his brand, expertise, and credibility, as well as highlighting information products, special events, publications, etc. Carrie Freelance will meet with John to discuss his marketing needs, existing tools and strategy, desired goals and outcomes, overall marketing strategy, etc. Carrie will devise a Twitter strategy that serves as a dynamic extension of John's brand, and will grow community, resulting also in increased sales, stakeholders, customers, etc. Carrie will also work with John to develop content guidelines and roadmaps for a given week or time period. Carrie Freelance will devise the most effective schedule of tweets for a given topic, and also serve as the Twitter liaison in John's community, to provide interactive responses as they arise. The schedule may vary depending on results and other variables, from several tweets a day to more or less frequency, as determined to be most effective. -integration of twitter with clients existing tools, such as web site and blog, e-newsletter, etc. Since there are quite a few variables that can change from day to day, it's best to quote for a range of time, such as a monthly fee, so you can allow for all scenarios. Fill in as appropriate for your business. It can take at least several weeks to get a Twitter account off the ground, when you consider the need to acquire followers, develop a tone and style, determine the best content for your audience, etc. So remind your client that progress should be assessed over a matter of months, at the very least. Also be mindful that it's quality and not quantity. Better to have 100 loyal followers who are going to become vital members of your community, rather then 1,000 followers who don't much care about your business or products. Note of Caution: I strongly advise against basing your rate on the price of a word or on 140 characters. Why? Because some tweets may come easily and be obvious, while others might require research, attached links, or other background work. Also, do not set up automated posts or following techniques. It is best to do customized searches so you have more control over your audience results. Consultants: I'd like to hear from anyone who had recently put together a Twitter proposal. What did you learn? What factors did you consider? Did you get the business? 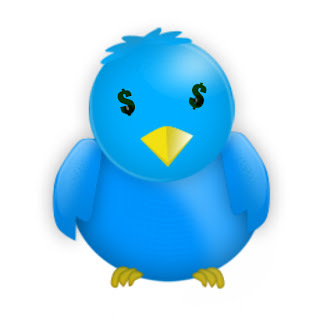 Businesses: Are you looking to hire a Twitter or social media consultant? What criteria matter most to you? What is your strategy, and how does Twitter fit in with your overall marketing plans?